The easiest to ignore is a water leak somewhere in the kitchen in our homes or in the plumbing work recently done at your office. While it appears to be harmless, what we normally do not recognize is the horrible form it can eventually take, if neglected. 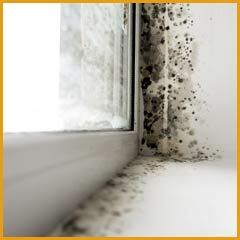 Water can not only damage your property, including your walls, wallpaper, furniture, carpets and other items, it can also contribute to the formation of hazardous mold. 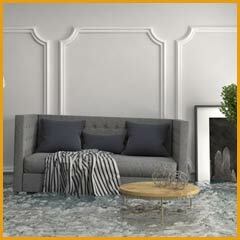 At the first signs of water damage, do not panic; rather call the experts from Hallandale Beach Restoration Company. We will nip the issue the bud thus preventing any further damage. The installation of water proof materials and coatings on pipes can also be discussed and deployed in order to prevent the issue from recurring in future. All you need to do is call us on 954-379-2883; our experts can reach anywhere in Hallandale Beach, FL area in no time. As soon as damage is reported from anywhere, we get there within 30 minutes. Understanding that we must not neglect any form of water damage for long, we further work on improving the promptness of our response. The damage can be considerably reduced if addressed at the nascent stage. If cost is a factor troubling you, restoring damage after it has progressed can cost multiple times in addition to the cost of material and possessions that would require replacement. Call us right away so that we can act promptly and restore the minimal damage done before it amplifies. As the pipe fittings can be located anywhere deep inside the wall, it can be tricky to identify the main source of the water damage. Fortunately, we at Hallandale Beach Restoration Company use latest technology to locate the exact spot of leaks. 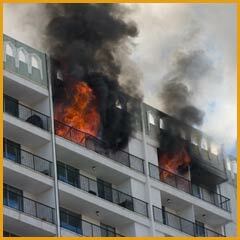 Consequently, the property is not damaged in the process. Effective drying is imperative as moisture left inside can cause reoccurrence of mold to an extent and might require rework on a particular part of the wall. 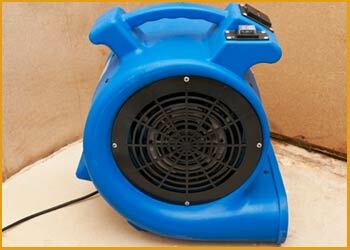 This is the reason why drying and dehumidification are crucial. While fixing water damage, we ensure that the best tools and dryers are used to completely dry the affected area, thus preventing further damage. We monitor the process of drying until it is complete. The advanced tools we employ assist us in carrying out the repair process swiftly. Consequently, we get the job done effectively and efficiently so that minimum time is required in restoring your life back to pre-damage conditions. This is the reason why property owners in Hallandale Beach, FL area choose us in their hour of need. Our first priority is to salvage whatever we can once we reach the site. However, depending upon the extent of damage, restoration or a change in design or material might also be suggested. Our team is certain to present you with waterproofing solutions that can avert damage in future. Imagine a messed up house after the restoration job is complete! An agonizing view isn’t it? When availing our services, you would not have to worry about the job of cleaning up later as we believe in completing the task at hand to our customer’s satisfaction. Facing water damage? Give us a chance to restore your property to its pre-damage state or even better by making a call at 954-379-2883!